One of the fundamental responsibilities of the Evaluation Helpdesk is to respond to Member States' queries about evaluating rural development policy. All of the questions received by the Evaluation Helpdesk are examined by the permanent experts, who clarify if they are within the remit of the Evaluation Helpdesk, provide draft answers and then agree on a response with DG AGRI’s Unit C.4. Where to find the answers? 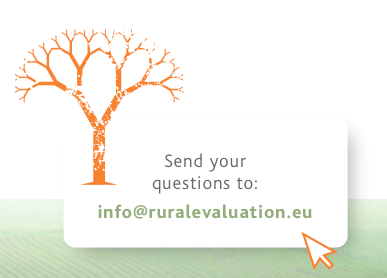 To see a selection of the approved answers please refer to the working papers “Evaluation-related queries” which will be continuously updated throughout the programming period with answers to questions submitted by RDP evaluation stakeholders in Member States. What should be in the ex post evaluation report 2007-2013? How to consider contributions of nature conservation measures (Art.20) when programmed under another focus area (FA 4A)? How to monitor, quantify and assess additional contributions to focus areas? What to measure under target indicator T20 “jobs created in supported projects”? How to assess effectiveness and efficiency of area-based measures? What to report on the evaluation plan in the AIR 2016? Download the latest evaluation related queries working document from the Helpdesk’s eLibrary.